If you live in the lovely city of Philadelphia or are Philly-adjacent you should scrap whatever plans you’ve made for this Saturday night (November 18) and swing on down to South Street. 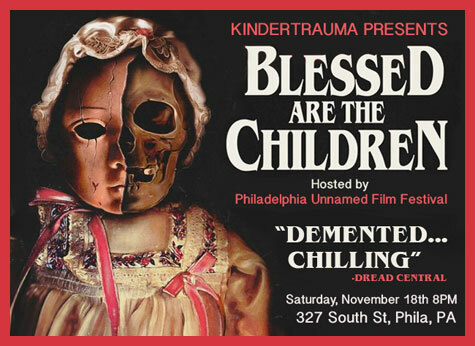 I say this because KINDERTRAUMA and THE PHILADELPHIA UNNAMED FILM FESTIVAL (AKA PUFF) are teaming up to host a very special screening of CHRIS MOORE’s twisted shocker BLESSED ARE THE CHILDREN! 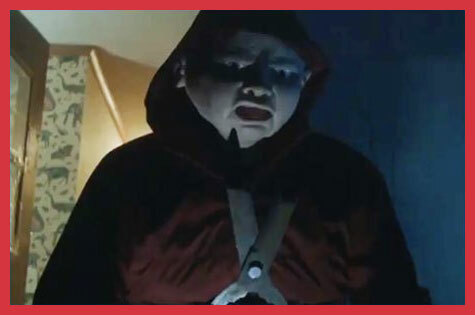 You can read my full review of this fine flick right over HERE or just believe me when I tell you to do yourself a favor and go see it! This is sure to be a fun one to watch with a crowd and I think you’ll really dig the unique screening space at 327 South Street (right across from the good ol’ TLA Theater!) The movie starts at 8PM which means you can still go out afterwards and get drunk (but not if you’re driving). Check out the trailer below and be there (327 South Street at 8PM on Saturday the 18th) or be square!